With the cost of lift tickets rising each year at popular North America ski resorts and crowds continuing to grow, a ski or snowboard vacation can include its fair share of headaches. Look off the beaten path for some unique ski resorts and take advantage of fewer crowds in these quaint mountain towns. 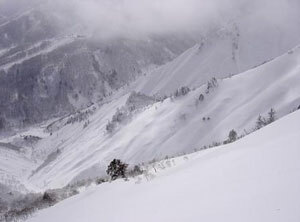 Japan’s ski industry has been steadily growing, with places such as Hokkaido becoming a popular stop on Japan tours. Myoko Kogenis one of Japan’s oldest skiing areas, but is typically less crowded than other skiing destinations. Located on the slopes of Mt. Myoko, Myoko Kogen offers some of the best skiing and snowboarding in Japan. The mountain town is popular for more than just mountain sports, including delicious food, unique restaurants and bars, and onsen hot springs which are perfect for relaxing after a long day on the slopes! Skiing doesn’t typically come to mind when planning Morocco tours. Oukaimeden Resort is one of the few places it is possible to ski in Morocco. It is Africa’s highest ski resort and has lifts that cater to all levels. Oukaimeden is about an hour drive south of Marrakech, located high in the Atlas Mountains. The resort has 1 chair lift, with 5 runs to take you back down again. The best time to go skiing in the Atlas Mountains is typically in January and February. The resort has ski rentals, ski schools, unique restaurants, and beautiful hotels. Enjoy the sun, sand, and snow in Morocco! Cerro Catedral, meaning Mount Cathedral in Spanish, has breathtaking views of the Los Andes Mountain and Patagonian rivers. Cerro Catedral is less than 14 miles from the city of Bariloche. The slopes have a wide variety of trails, including options for skiers and snowboarders, with a park area including bumps and rails. The resort continually updates its facilities and is one of the best ski resorts in the country. With ski events, film festivals, incredible nightlife and unique accommodations Cerro Catedral is an ideal ski destination. The season lasts from mid June to the beginning of October. Tasmania, know for its rugged coastlines, lush green valleys, and uncrowded towns, is another destination where skiing is not typically the appeal for travelers. However, Ben Lomond National Park has a range of slopes and unique accommodation options. The runs are not as steep as some found in other states, but the lack of crowds, the beautiful scenery and the diverse wildlife make for an unforgettable skiing experience. Ben Lomond is also a great destination for cross-country skiing. Bansko is the most modern ski resort in Bulgaria and has the longest ski season, lasting from December 15th to May 15th. 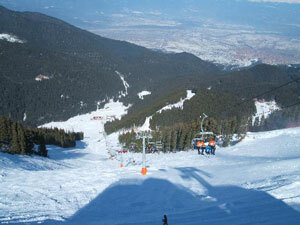 The town of Bansko is located near the river Glazane and is below the highest part of the mountain. 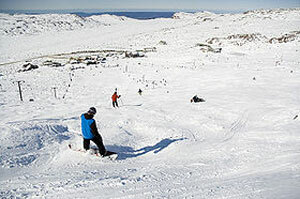 The slopes have runs for all types of skiers and snowboarders ranging from beginners to experts. Bansko also has a cross-country track. This resort is quickly becoming a favorite ski and snowboard destination, with great facilities, unique history, and a friendly local atmosphere. For the past few years the resort has been undergoing construction of new hotels and facilities, so hurry to Bansko before the new amenities draw larger crowds! 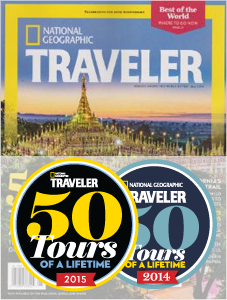 Fill out our custom tours form to begin planning your ski trip!